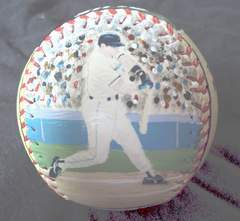 This Legends Hand Painted 1993 World Series Baseball features two of my original paintings. 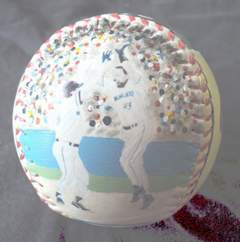 Side one is my painting of Joe Carter rounding third after his series ending home run. Click here for a closer look. 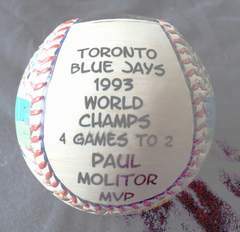 Side two features my painting of series MVP Paul Molitor. Click here for a closer look. 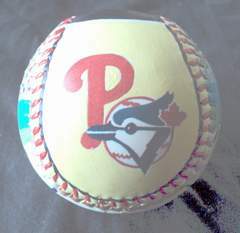 Side three has my paintings of the two team logos. Side four shows some 1993 World Series stats. 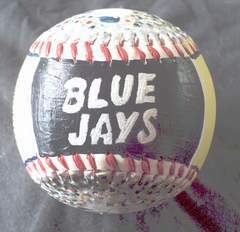 Side five, which is the top of the baseball, has my hand painted "BLUE JAYS" in team colors as the winners. 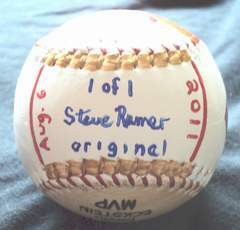 Contact Me To Purchase This Baseball or click the Add To Cart button to use your credit card and Pay Pal.